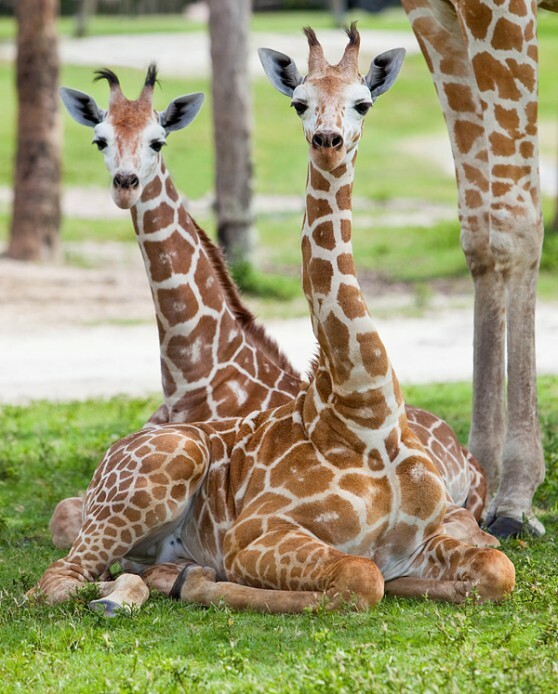 Two male baby giraffes, born April 8 and April 24, were introduced to the rest of the giraffe herd in the Busch Gardens’ Serengeti Plain habitat. The Serengeti Plain is a 65-acre, naturalistic habitat featuring a diverse population of free-roaming African animals including giraffe, zebra, white rhinoceros, eland antelope and several other species of hoof stock and birds. Visitors can view the new additions from the Serengeti Express or on a Serengeti Safari, an open-truck tour of the plain. To learn more, visit the Busch Gardens website. 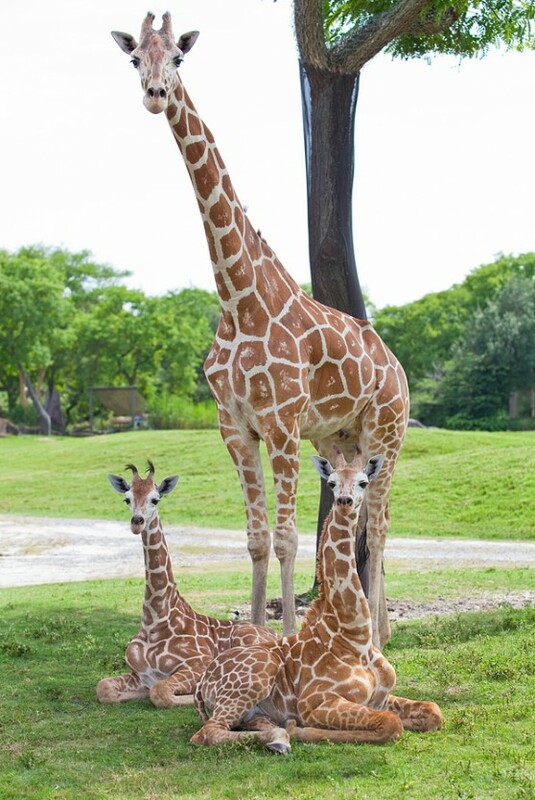 This entry was posted in Animal Photos, Baby Animals, Zoos and Aquariums and tagged Busch Gardens, giraffes by admin. Bookmark the permalink.